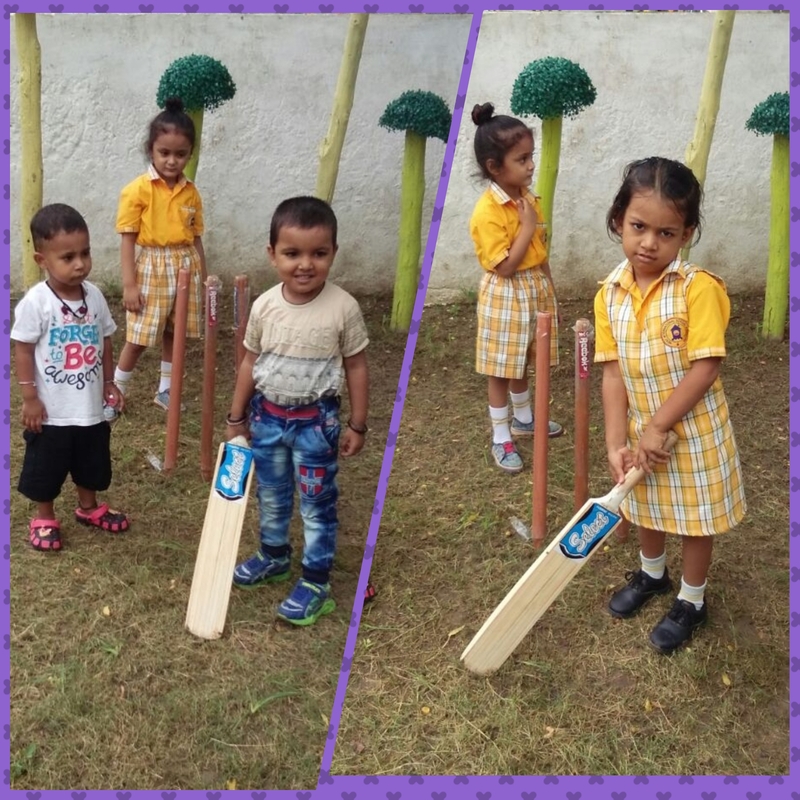 Today education is incomplete without sports. 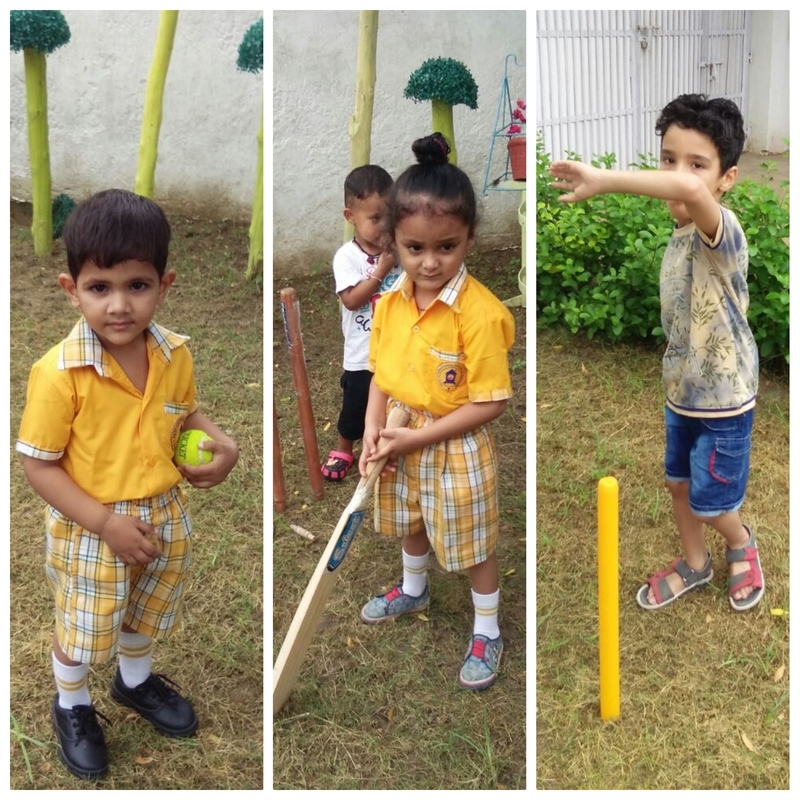 Sports and games are the integral part of the education right from the early years. 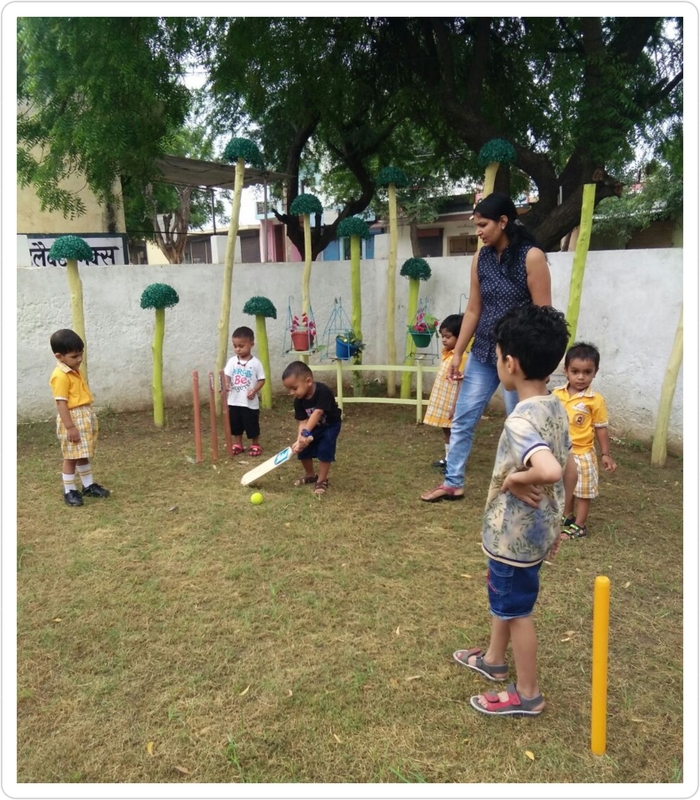 Sports participation not only enhances mental and physical growth but playing sports also helps students to increase their self esteem and confidence. 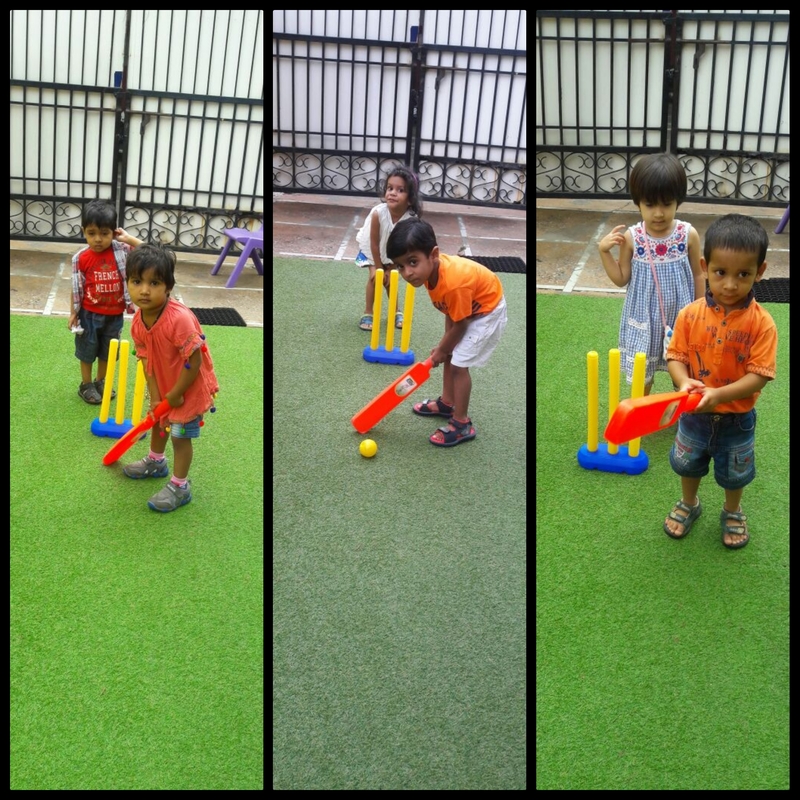 Coordination, teamwork, motor development and social skills can all be achieved from a young age. 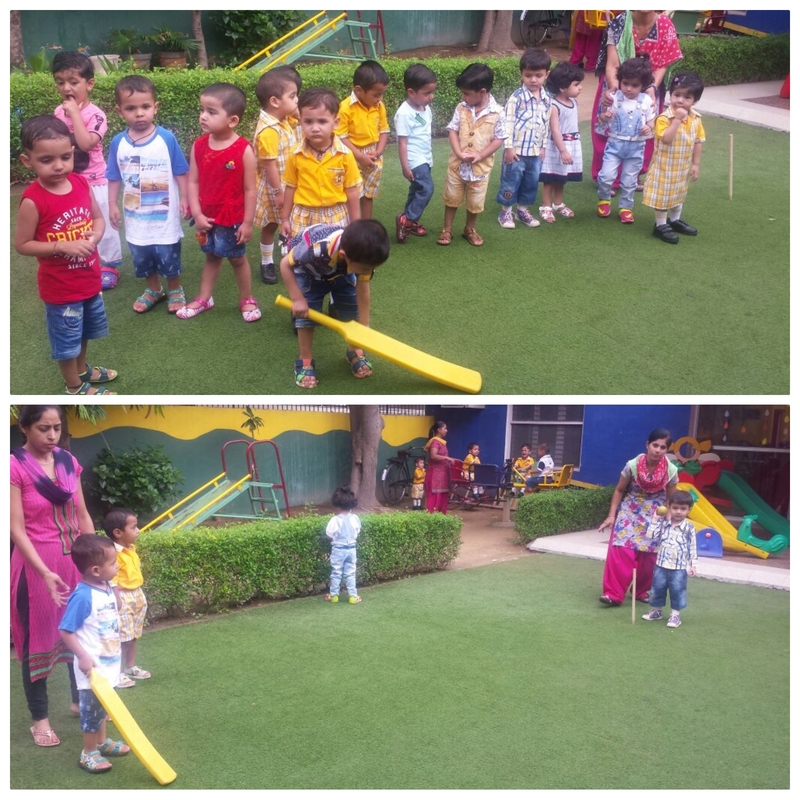 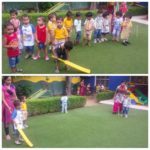 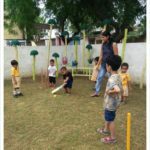 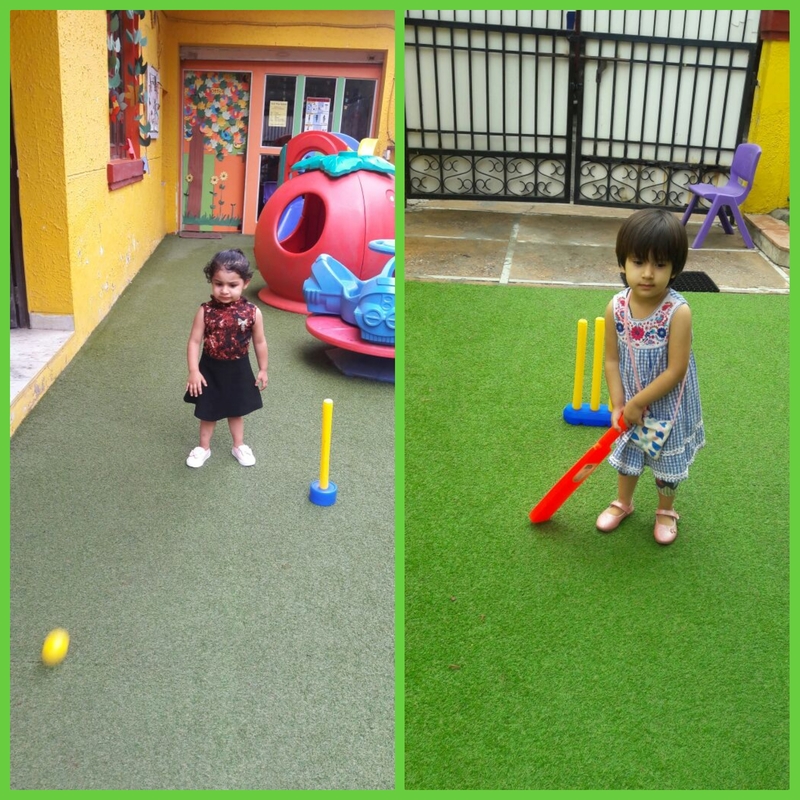 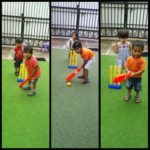 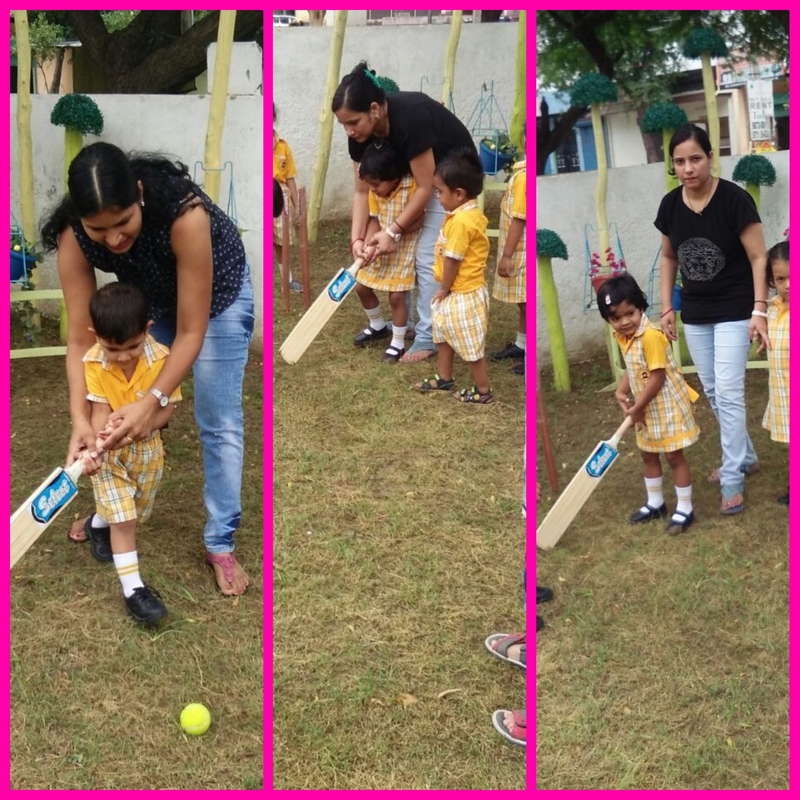 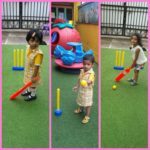 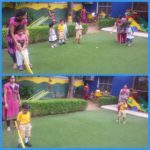 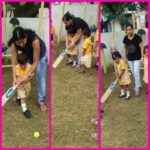 Energetic nestians at Gurgaon’s top play school were recently introduced to the game of cricket. 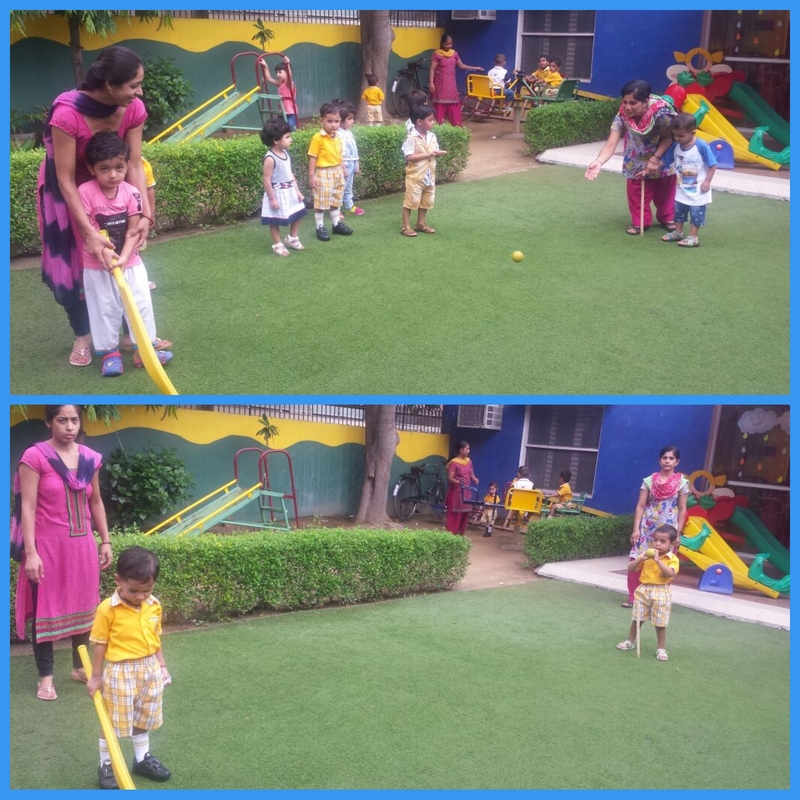 They not only had a gala time playing cricket with their friends and teachers but also learned the correct game tenchniques. 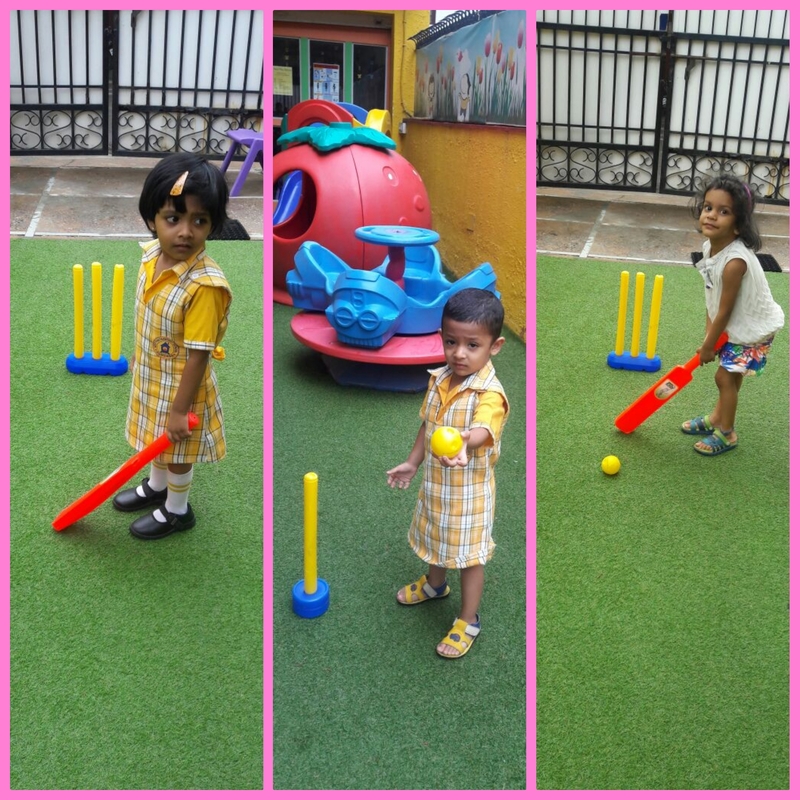 Even our pretty girls overwhelmingly enjoyed the game. 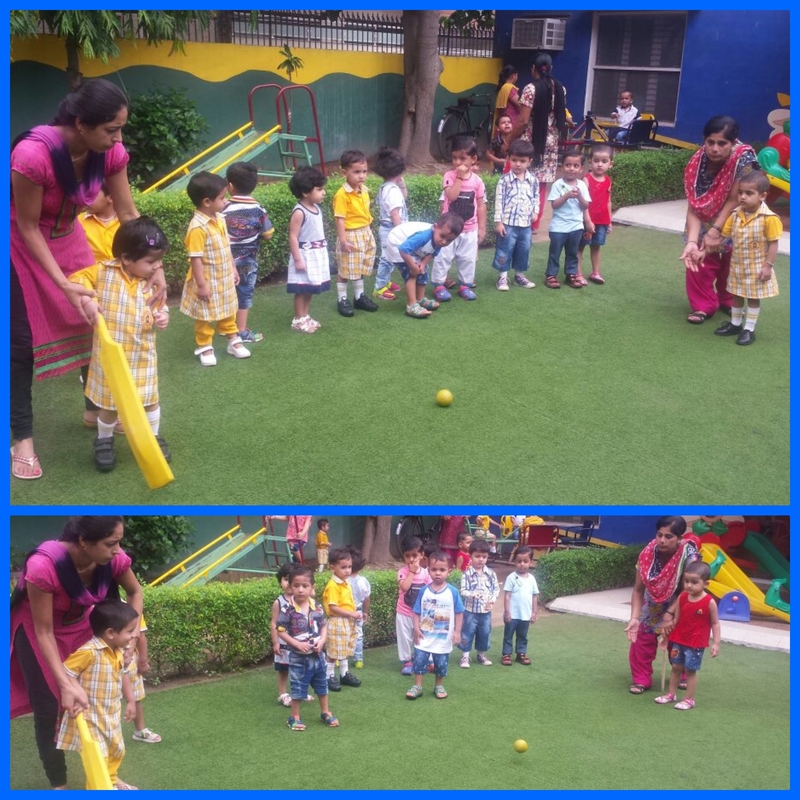 Scoring fours and sixes was as easy as ABC for the little champs.